Chief Minister Mayawati having compounded the miseries of the people of Uttar Pradesh by running the most corrupt and crime infested government during the last five years, it now seems that aam admi cutting across caste and community line has started looking towards Congress (I) for providing stable and progressive government in the state. This is the impression one gets while passing through central and west UP. In Shahjahanpur and Badayun despite being Samajwadi Party’s strong hold, the aam admi is feeling fed up both Mayawati and Mulayam Singh Yadav. This region has a large number of Muslim population. Rahul Gandhi said ordinary Muslims in the villages and towns have expressed dislike for the ruling Bahujan Samaj Party (BSP) and disappointment with the Samajwadi Party. The community is annoyed with Mulayam for having joining hands with Kalyan Singh’s party last time. The people are now feeling that Congress (I) is better option for the state, said Rahul Gandhi. Addressing a Congress workers’ rally at Farrukhabad Uttar Pradesh on the fourth day of his second phase of the campaign for Congress, All India Congress Committee (AICC) General Secretary Rahul Gandhi said that the state can surge ahead only if the leaders think with long term vision. Rahul Gandhi promised that a Congress government will bring back the lost glory of Uttar Pradesh. Taking a dig at the performance of non-Congress Governments in U.P for the past 22 years he continued “In U.P non-Congress parties have been talking about caste and religion and not bothered about the poor. They cheated you in the name of God. They made God a commodity and sold it and behaved just as mere brokers. They do not come to you, listen to you or bothered about your future” he wondered. Addressing a Congress workers’ rally at Farrukhabad Uttar Pradesh on the fourth day of his second phase of the campaign for Congress, All India Congress Committee (AICC) General Secretary Rahul Gandhi said that the state can surge ahead only if the leaders think with long term vision. Rahul Gandhi promised that a Congress government will bring back the lost glory of Uttar Pradesh. “You know all the Congress ruled states have been progressing because of the policies with long term vision. You can see that states like Andhra Pradesh, Kerala, Delhi and Rajasthan all are surging ahead. But your leaders think only about today, they don’t see the future. That is the reason behind the bad state of affairs in U.P”, he alleged. Addressing a Congress workers’ rally at Farrukhabad Uttar Pradesh on the fourth day of his second phase of the campaign for Congress, All India Congress Committee (AICC) General Secretary Rahul Gandhi said that the state can surge ahead only if the leaders think with long term vision. Rahul Gandhi promised that a Congress government will bring back the lost glory of Uttar Pradesh. Recalling the contributions of his late father and former Prime Minister Rajiv Gandhi, Rahul Gandhi continued “It was in 1980 Rajiv Gandhi introduced computers in our country. Some people laughed at him then. Today we are availing the benefits. Further it was twenty years back mobile phones were introduced and you know how beneficial it is for the people. So the policies with long-term vision are the main factor for development”. Addressing a Congress workers’ rally at Farrukhabad Uttar Pradesh on the fourth day of his second phase of the campaign for Congress, All India Congress Committee (AICC) General Secretary Rahul Gandhi said that the state can surge ahead only if the leaders think with long term vision. Rahul Gandhi promised that a Congress government will bring back the lost glory of Uttar Pradesh. Congress General Secretary reminded that while campaigning for the Lok Sabha elections in 2004 Congress had made only single promise – a government that would work for the common man. “While other parties made a number of hollow promises we had promised a government that works for the poor, dalits and adivasis” said Rahul Gandhi. “Some parties brought out the slogan “India Shining”. They scripted the slogan sitting inside big bungalows. They did not realize the reality. The shining may be visible at those leaders’ houses who had coined this slogan but not the villages. And the people gave them a befitting reply by electing an aam aadmi Government of the Congress”, he added taking a dig at BJP and NDA. Addressing a Congress workers’ rally at Farrukhabad Uttar Pradesh on the fourth day of his second phase of the campaign for Congress, All India Congress Committee (AICC) General Secretary Rahul Gandhi said that the state can surge ahead only if the leaders think with long term vision. Rahul Gandhi promised that a Congress government will bring back the lost glory of Uttar Pradesh. “We found that there no jobs available in the villages and the people are forced to migrate to big cities” said Rahul Gandhi underlining the significance of the MGNREGA scheme and added “through MGNREGA, the biggest employment generation scheme, poor are assured of a minimum of 100 days jobs in a year with a daily wage of Rs 120. People in Andhra Pradesh, Haryana, Rajasthan or Kerala will vouch for the benefits of the scheme”. Addressing a Congress workers’ rally at Farrukhabad Uttar Pradesh on the fourth day of his second phase of the campaign for Congress, All India Congress Committee (AICC) General Secretary Rahul Gandhi said that the state can surge ahead only if the leaders think with long term vision. Rahul Gandhi promised that a Congress government will bring back the lost glory of Uttar Pradesh. While questioning Mayawati Rahul Gandhi said “Your Chief Minister of UP says that MGNREGA is of no use. While all other states are acknowledging that MGNREGA is the most useful policy UP Chief Minister says that the scheme is of no use. The reality is that the funds sent by the Centre under various schemes are being eaten up by Mayawati’s elephant in Lucknow. Normally elephants eat leaves and grass but the magic elephant of Mayawati in Lucknow eats currency". Addressing a Congress workers’ rally at Farrukhabad Uttar Pradesh on the fourth day of his second phase of the campaign for Congress, All India Congress Committee (AICC) General Secretary Rahul Gandhi said that the state can surge ahead only if the leaders think with long term vision. 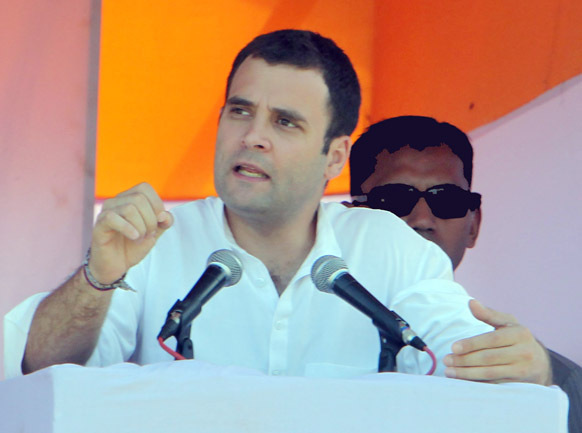 Rahul Gandhi promised that a Congress government will bring back the lost glory of Uttar Pradesh. Rahul Gandhi claimed that all states ruled by the Congress surge ahead and added that all those states have been implementing the Central Government schemes properly. “We send money to Uttar Pradesh too, but it is being looted by the BSP leaders” he said. Addressing a Congress workers’ rally at Farrukhabad Uttar Pradesh on the fourth day of his second phase of the campaign for Congress, All India Congress Committee (AICC) General Secretary Rahul Gandhi said that the state can surge ahead only if the leaders think with long term vision. Rahul Gandhi promised that a Congress government will bring back the lost glory of Uttar Pradesh. Rahul Gandhi said that the UPA Government realizes the strength of the farmers as well as their difficulties. “UPA is committed towards the welfare of the farmers. The intention behind the Central government Rs 60,000 crore loan waive-off policy was to serve the common man”. Rahul Gandhi also supported the UPA Government much controversial plan for allowing FDI in retail sector. “The UPA Government wants to allow FDI in retail sector with an intention to help the farmers. But the opposition parties blocked it” he added. Addressing a Congress workers’ rally at Farrukhabad Uttar Pradesh on the fourth day of his second phase of the campaign for Congress, All India Congress Committee (AICC) General Secretary Rahul Gandhi said that the state can surge ahead only if the leaders think with long term vision. Rahul Gandhi promised that a Congress government will bring back the lost glory of Uttar Pradesh. But what did Mayawati do? He asked and quipped “when rich sell their land they get the market price. But in U.P under Mayawati Government if a poor farmer sells his land and asks for adequate compensation he got bullets and labeled as Naxal. In Tappal and Bhatta-Parsaul striking farmers were assaulted by the BSP Government. Mayawatiji did not go there. I went there, listened to them and understood their problems. The Congress led Government at the centre drafted a new Land Acquisition Bill. But some parties have been trying to block it behind the closed doors of the Parliament”. “She also did not found it proper to visit Bundelkhand too” said Rahul Gandhi referring his visit to Bundelkhand and the subsequent relief package sanctioned by the Central Government. Referring the news paper reports regarding the misuse of Bundelkhand funds he said “I read it in today’s news paper that some minister purchased tractors using the funds sent by the Centre under Bundelkhand package. We had sent Rs. 3000 cr for the poor people of Bundelkhand. But that went to the minister’s pocket” alleged the Congress General Secretary. Congress (I) has said BSP government has developed new terminology in Government Tax system which is now popularly known as Maya Tax. Every transaction has a percentage of the maya share fixed in them. On every transaction every one has to pay Maya Commission. Name any program or welfare scheme like Garib Rozgaar Yojana, Bal Pushta Aahar, Vidhwa and Vridha Pension or land allotment schemes and Group Housing schemes, Maya tax and Maya commission is levied. Congress (I) said apart this if anything Mayawati has done perfectly well then it is Maha Ghotalas which she carried out stealthily behind the doors. Mayawati’s perfection in such cases was so excellent that only some instances of it could reach the people. Her ‘mayajal’ is so perfect that people now believe Mayawati is a leading player specializing in the field of ghotalas. 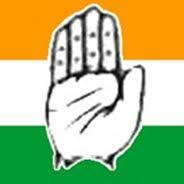 Under Mayawati government bhrashtachar has become a shishtachar during the last 4 years, said Congress (I). Addressing a Congress workers’ rally at Farrukhabad Uttar Pradesh on the fourth day of his second phase of the campaign for Congress, All India Congress Committee (AICC) General Secretary Rahul Gandhi said that the state can surge ahead only if the leaders think with long term vision. Rahul Gandhi promised that a Congress government will bring back the lost glory of Uttar Pradesh. Rahul Gandhi highlighted that Congress is committed to work for the poor. “We want to serve the poor. There is no shortage of funds. Our country is fast developing. We send the money for you under various schemes. But those funds do not reach you as the elephant in Lucknow eats it up,” he lamented.